O’Connor Sutton Cronin (M&E) gleaned two prestigious awards at the 2018 Irish Construction Industry Awards. Central Bank of Ireland was named as the Green Project of the Year, while OCSC again took home the Excellence in Sustainability award. Building Ireland contacted M&E Director William Forsyth to get an insight. OCSC M&E enjoyed an unforgettable night at this year’s Irish Construction Industry Awards in The Citywest Hotel on Thursday, June 14th, striking gold in the Green Project of the Year (for Central Bank of Ireland) and Excellence in Sustainability categories. OCSC were also part of the design teams on award-winning projects at St. Mary’s Medieval Mile Museum, Block 3, Charlemont Regeneration and 40 Molesworth Street. The awards tied in nicely with the 30th anniversary celebrations of the industry-leading multidisciplinary consulting engineers, who have helped deliver over 10,000 projects across a range of sectors and are renowned nationwide and internationally for excellence in engineering design. Today, OCSC generates direct employment for a team of 275, with offices in Dublin, Cork, Galway, London, Belfast and Birmingham. Having been headquartered at Dame Street Tower since 1979, The Central Bank relocated to its new Dockland Campus in the Spring of 2017. The campus consists of a new head office at North Wall Quay and the nearby Spencer Dock building. More than 1,400 people work at the eight-floor North Wall Quay building, with approximately 300 staff at Spencer Dock. Key principles that informed the architecture and design of North Wall Quay included maximising opportunities for collaboration and sharing by staff; addressing environmental challenges; achieving very high energy and sustainability goals; and reflecting the distinct and civic nature of the organisation. The existing structural frame – which had been standing idle as an empty skeleton for seven years before being purchased by CBOI – was largely maintained, with some structural additions and alterations to accommodate a new design. This included the construction of glass skin and aluminium mesh panels on the pre-existing concrete frame and a complete internal fit-out. Planning permission was granted by Dublin City Council in April 2014 and the construction contract for North Wall Quay was awarded to Walls Construction Limited in May 2015. As MEP and sustainability consultants on site on the landmark project, OCSC M&E’s brief was to come up with a design that would deliver a sustainable, energy-efficient and green building that was also robust and resilient. 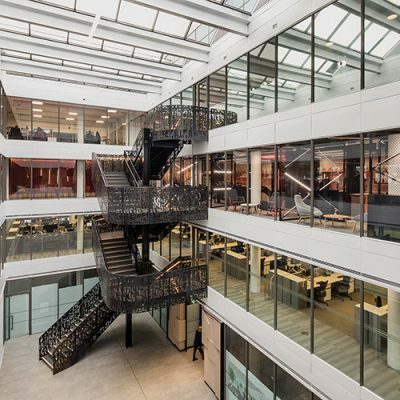 Henry J Lyons was Architect on the CBOI project, which consisted of the completion of the shell building, Level -2 up to Level 8 (roof), as a new bespoke design for the consolidation of a number of existing office sites to a new single headquarters building. The development (GIA 29,400 m²) was to be provided with the latest sustainable and low energy features such as mixed mode ventilation to achieve a BER A2 rating and BREEAM. 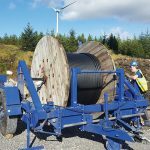 The electrical installation provides a completely resilient; generator backed up supply, as well as the most up to date information technology systems. The new CBOI headquarters building meets a series of design drivers including high sustainability performance. The key sustainability goals for the Bank were to provide a building that is energy efficient, has low operating costs and provides a healthy indoor environment for its occupants. Built to the highest energy standards, The Central Bank of Ireland’s new headquarters at North Wall Quay is the first office building in Ireland to achieve the Building Research Establishment’s Environmental Assessment Method (BREEAM) ‘Outstanding’ rating at design stage. The building energy rating (BER) is A2 – one of the first commercial projects in the state to aim for such a rating. This equates to a 72% improvement in energy consumption over previous building regulation baselines. The mesh panels on the building’s façade contribute significantly to the overall energy performance of the building, reducing the impact of solar heat gain on the building and the energy needed for heating and cooling. The building’s outer skin consists of a glass facade wrapped with a layer of anodized aluminium triangular mesh panels. The density and coverage of the mesh varies depending on its orientation. As well as maximising daylight, it minimises glare and passive solar heat gains, thus reducing the energy needed for cooling. Complex heating, cooling and ventilation systems are monitored and controlled via a highly intelligent building management system (BMS). Effective use of insulation reduces energy consumption and using energy from renewable sources also reduces environmental impact. The annual energy saving due to the BER A2 rating is 209 tonnes of CO2. Materials used in the fit-out were chosen for their low environmental impact. All timber used in construction and fit-out was Forest Stewardship Council (FSC) certified. Low volatile organic compound (VOC) materials were used throughout the building. Internal spaces contain CO2 sensors to monitor and address increased carbon dioxide levels. The building has a dedicated recyclable waste storage area at basement level and recycling stations are provided throughout each floor. 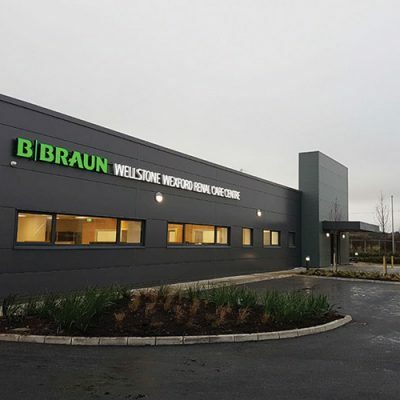 From the outset, OCSC M&E / Sustainability believed that the project could exceed the client’s BREEAM aspirations of ‘Excellent’ and achieve the sought-after ‘Outstanding’ rating. OCSC’s Sustainability and M&E Engineers played a key role in achieving the ‘Outstanding’ rating through meticulous design stage efforts which included a high performing thermal envelope, energy efficient mixed mode ventilation strategy, low energy sustainable features and the most up to date information technology. When external conditions are an acceptable 14°C to 25°C, façade-mounted louvers open allowing fresh air to enter the space. This sends a signal to the BMS to close the Volume Control Dampers (VCD’s) which supply fresh air to the floors. Outside of this predefined temperature range, the ventilators close and a signal is sent to the BMS to open the VCDs. Local override switches are also provided if the end user deems the incoming air to be unacceptable. In addition to the mixed mode ventilation strategy, the provision of a CHP plant for the building reduces the building’s CO2 emissions and energy costs in operation. The building has achieved a 70% reduction in energy consumption over Irish Building Regulations. Extensive sub-metering has been provided for the building. Lighting and small power are metered separately per half-floor plate on each floor of the building. Energy for heating is sub-metered per quarter-floor plate on each floor. All sub-meters are linked to the BMS and enable the end user to establish detailed information on energy consumption in the building. Meanwhile, extensive cycle storage and facilities have been specified over and above the BREEAM requirements – 300 cycle racks (53 required under BREEAM) and 30 showers – to encourage staff to travel using sustainable means (such as public transport, walking and cycling) and reduce private vehicle use. There are also car e-charge parking spaces. 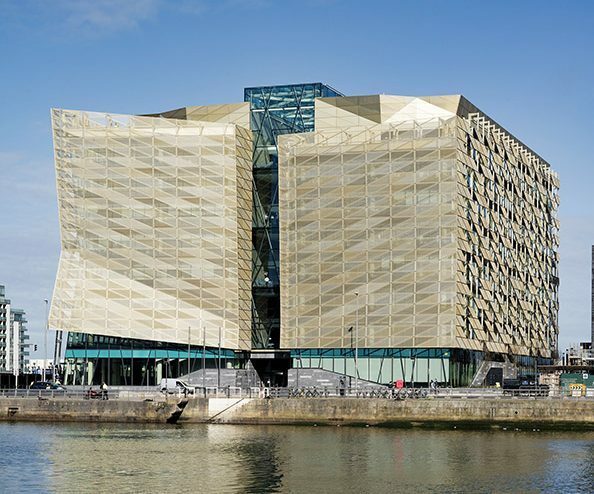 The new Central Bank of Ireland headquarters on North Wall Quay is one of the most iconic building projects in Dublin City, providing a central location in exemplary office accommodation and ancillary facilities. The project involved the completion of the existing concrete structure on the North Wall Quay. This required extensive structural works with the addition of a floor at roof level, a new triple façade and the complete internal fit-out. The Central Bank of Ireland is already a multi –award-winning building. Awards won include Best Universal Design award at the RIAI awards – a significant accolade from the architectural community to what is an iconic building. “The client wanted energy efficiency but they also wanted resilience,” OCSE M&E director William Forsyth confirms. “Patrick Field headed up the sustainability aspect of the project after taking the brief from the Central Bank and together we designed in and around that brief. “Central Bank of Ireland was definitely one of the most prestigious projects in the country and we were very proud to work on it,” says William. “We got great guidance and support from the Bank throughout. They were headquartered at Dame Street but wanted a landmark project to bring a number of their sites together into one location. 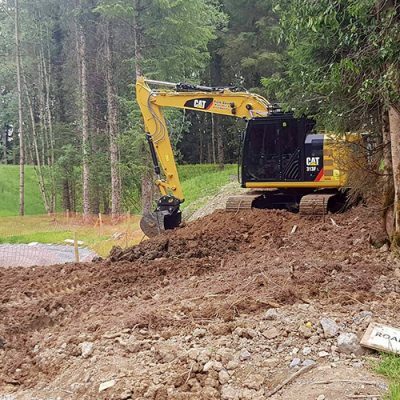 We have worked on a number of major projects over the years – both from a size and technical point of view – and this one was right up there with the most prestigious. “We’ve been very fortunate to have worked on a selection of landmark sites all across the city.” This includes the spectacular new 15-storey EXO Building, which has been designed by Shay Cleary Architects. 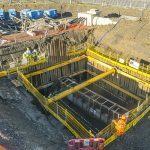 On this development, which will provide a striking new landmark for the city’s revitalised north quays, OCSE have been brought on board as Civil and Structural Engineers, Sustainability and Mechanical and Electrical Engineers. Sustainability. Between the five of us, we have over 110 years’ experience. “As well as experience and knowledge, we have very young and dynamic staff. It’s not easy to recruit people in the current climate but it’s easy to hold onto them when you consider the projects we are working on and the rewards we offer our staff. OCSC is a multiple award winning practice and continually strives to provide award winning design and service to clients. OCSC won the CPD Company of the Year award from Engineers Ireland for continuous professional development and was again shortlisted for the award. OCSC has won national (Institution of Structural Engineers, Irish Concrete Society, Association of Consulting Engineers and Engineers Ireland) and international (European Concrete Societies Network) awards for building design and innovation along with national awards for safety (National Irish Safety Organisation) and international awards for sustainable design (Bentley). O’Connor Sutton Cronin have received major awards from all of the Engineering Institutions – evidence of their quality control, skill and customer service. Their integrated International Multidisciplinary Consultancy is founded on a reputation for providing award-winning design creativity, excellence and cost-effective solutions without compromise. Their people combine the best international experience with local knowledge in a professional, friendly, can do attitude, hands-on directors working on every project and always accessible to clients. This customer-focused approach has resulted in clients coming back again and again. OCSC’s vision is to provide a one-stop shop service for fully coordinated multidisciplinary engineering design and project management that constantly exceeds clients’ highest expectations. 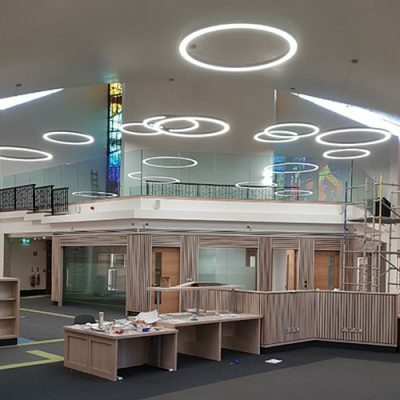 OCSC work collaboratively with public and private sector clients, developers, contractors and funding agencies either individually, or as part of a wider integrated design team, to provide the very best in engineering design and project management. 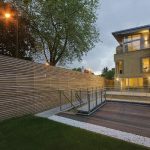 Their work as design-build advisers to contractors and developers has provided them with great insight into constructability and they are always looking for ways to improve designs to make them easier to build and maintain. 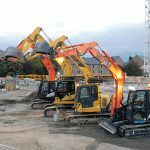 They have worked in collaboration with other engineering consultant practices to deliver largescale international projects and continue to develop relationships with like-minded companies.